Of all the statistics bandied around at the Cape Wine exhibition in Cape Town earlier this month, one in particular stood out: 37% of South African wineries don't make a profit. The VinPro stat came from a seminar on old vines, but quickly broke free of the conference rooms to circulate the show floor. Visiting journalists - this one included - were astounded. Those working in the country's wine industry were less surprised. "I would have thought that was probably on the low side," Judi Dyer, MD of Oldenburg Vineyards, told me. 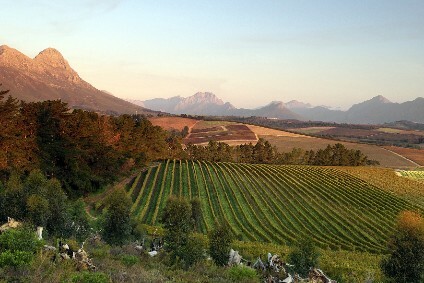 Why do so many wineries in South Africa fail to cover their costs? One factor is the many so-called lifestyle wineries where profit is not a priority. Then, there are the family businesses where profit is difficult to judge because the winery also acts as a home. For many wineries, however, trading conditions are tough. Prices for South Africa's packaged exports are the lowest among wine-producing nations, while the low-margin bulk wine market still accounts for the majority of South Africa's wine production. 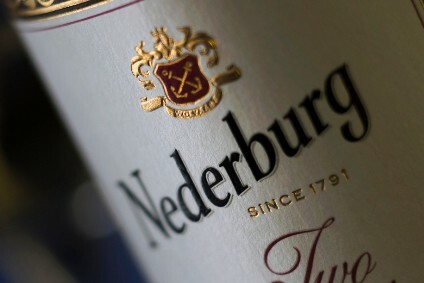 To make money - to be one of the just 17% of wineries that boast what VinPro term a "healthy" profit - you need a working export model to sidestep the painfully-tight domestic market that, according to industry portal WineMag, sees 84% of wine sold for less thatn ZAR34 (US$2.30) per. In today's wine industry, exporting increasingly means focussing on China. For Australia, for example, China has overtaken the US as its leading export market by value. Wineries have been helped by the introduction of a free-trade agreement (tariffs are to drop to zero next year), and continue to be pulled in by the attractive margins. Put simply, wine consumers in China are willing to pay more than European consumers for their wine. 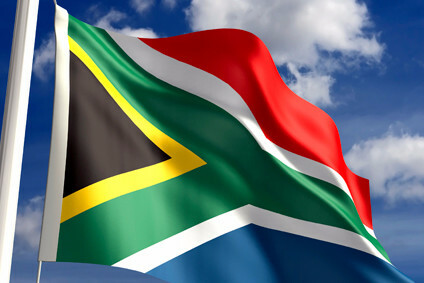 Eager to follow suit, South Africa is bulking up its presence in China. According to the latest China import stats, South African wine volumes to the country jumped by almost one-third in the first half of this year, the biggest increase among all the major wine-producing nations over that period. More importantly, as South African producers complain about a global market unwilling to give value for their wares, consumers in China spent US$0.40 per bottle more on South African wine in the first half of this year than in the same period last year. That's equal to a 19% rise, comfortably ahead of the 8% increase in Australia. In value, South African wine exports in H1 were up 56%. The increase hasn't come without a fight. The Chinese may be drinking more South African wine, but getting it too them has not become easier. Despite agitation from producers, the country lacks a free-trade agreement with China, putting it at a disadvantage against wines from the countries that do - including Australia, Chile and New Zealand. "It's a very difficult market for us to deal with," says Dyer at Oldenburg Vineyards. "Something that would trade in South Africa for ZAR150 (US$10.50) quite often ends up on a Chinese shelf at ZAR600 a bottle." To help smooth the way for South African wine in China, trade group Wines of South Africa this year appointed a market manager to the region. Marcus Ford's remit is for the whole of Asia, but his speciality is China after a career spent at the heart of the country's blossoming love affair with wine. Ford is now a wine consultant in China but, two decades ago, he was the wine buyer for Shanghai bar and restaurant M on the Bund, one of the first fine wine outlets in the country. As such, he is aware of just how difficult it is to crack the Chinese market, especially now that wine has hit the mainstream. When he started out in Shanghai, there were only about eight viable wine importers to China. Today, there are close to 7,000, making it difficult for brands to be heard through the clutter. "If you're serious about China, you have to come," Ford says. "Get to know the partners so you know if it's a long-term play. If you don't understand that, all you are doing is trading. You could be selling any commodity." However, he doesn't see a free-trade agreement as a cure-all. By his reckoning, the move would only lower the existing 48% duty down to about 29% when other levies are taken into consideration. "Given the complexity of the import process, it's not necessarily the FTAs that translate to better value to the customer on the shelf," Ford explains. 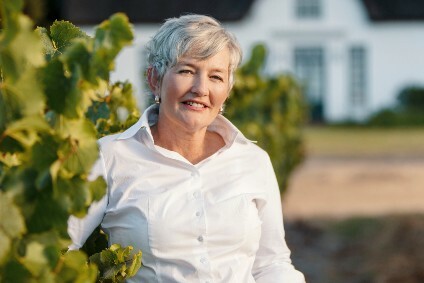 One South African winery with China at the heart of its business plan is Leopard's Leap, the Franschhoek-based company owned by the Rupert family. One of the first to enter China 11 years ago, Leopard's Leap is now reaping the rewards. According to the company's sales director, Marius Kotzé, Leopard's Leap accounts for about 30% of all South African packaged wine sold in China, or about 8m litres (the company also sells 10m litres a year in bulk in the country). For its first five years, the China unit ran at a loss, but now makes a 10%-to -15% better margin on a Leopard's Leap bottle sold in China than the same one sold in Europe. "Where is the next opportunity? It's in Asia. And, in Asia, the opportunity is China." "The tradition for South Africa was Europe, because of our background," says Kotzé, who oversaw Leopard's Leap's China entry. "But, the European market is getting saturated. Prices are tough, margins are under pressure. So where is the next opportunity? It's in Asia. And, in Asia, the opportunity is China." Kotzé says it was the business plan of the Rupert family, which owns four wineries in South Africa including La Motte, that helped Leopard's Leap gain a foothold in China. Kotzé was tasked with researching the market before launching in the country. His remit was to create a wine that would suit Chinese tastes rather than pick a suitable variant from the existing portfolio. "Most of the winemakers make the mistake of making wines that are nice for them," Kotzé says. "We are a more market-driven company. We would understand the market, say this is the style, this is the recipe, then we hit it from there." In recent years, Kotzé has moved Leopard's Leap into China's fast-growing online market. However, despite high levels of optimism around digital sales in the country, the China veteran remains cautious. "I have my wines online," Kotzé explains. "But, if I tell you how much I sell online, it's nothing." The problem, he explains, is South Africa's low profile among consumers, especially younger wine drinkers. They are more likely to click on wines they are familiar with, from higher-profile regions such as Australia or Italy. Unless the price is set low, it can sink without a trace. "Online is too risky," Kotzé says. "Anything below CNY100 (US$15) from South Africa will sell. Anything above that, it's very slow." WoSA's Ford goes further, claiming that much of the hype around online sales is coming from the platforms themselves, such as JD.com and Alibaba's Tmall. Often,l that hype is not backed up. In September 2016, for example, Tmall made a lot of noise about an Italian wine promotion. Media heavily reported the lead-up to the sales period but, afterwards, nothing was heard. "That's because it was a complete failure, nobody sold any wine," Ford says. "One should never believe anything one hears from companies themselves." Ford believes that unless you are prepared to invest heavily - and maintain that spending - then online sales will not hold up. "Unless you're paying to get up search rankings, then [online is] not terribly relevant," he says, adding that international wine companies such as Treasury Wine Estates and Concha y Toro have a near monopoly on the all-important first ten search pages. "Online will become very significant, but it may take longer than everyone has said," Ford says. Ultimately, the advice for the China market is the same as for other regions - boots on the ground and lots of hard work. "Packaging, consistency and perseverance," says Kotzé when asked what his tips for the country are. Leopard's Leap now has two full-time Chinese staff in the country, maintaining relationships and making sure its wines are supported. "You've just got to keep doing the right things, plugging away," Oldenburg's Dyer says. "Make sure it's a relationship you are after, visiting the market, giving them support in the market, keep putting your feet on the ground. That way you do win over, you've got to earn trust." Despite the challenges, optimism for South African wine in China remains high. "The Chinese market for imported wine will grow somewhere between 12% and 20% every year for the next five years, without doubt," Ford says. "The challenge for us is to make [South Africa] and the story relevant." Meanwhile, Kotzé is looking forward to Leopard's Leap's next 11 years in China. "You can see there is more and more awareness and more Chinese people are looking for SA wine," he says. "For South Africa it's a good future."